You are here: Home / food / Where FREE Doughnuts Are And How to Get Them From Now To February 28th! Where FREE Doughnuts Are And How to Get Them From Now To February 28th! If you like coffee and doughnuts and freebie offers, you will want to check this out! 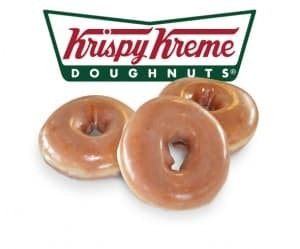 Right now, you can get a FREE original glazed doughnut from Krispy Kreme with your purchase of any sized cup of their new coffee. This special offer pairs the best of the best: doughnuts and coffee! Please note, this delicious freebie offer is only valid through Tuesday, February 28.